Rap superstar Kanye West visited the Oval Office Thursday to meet with President Trump. Mr. West took the opportunity to engage in a free-wheeling press conference that left many reporters and journalists stunned. Kanye had just showed Trump a mock-up of a hydrogen powered plane that he hopes will be the next Air Force One when he took a moment to chastise liberals who criticized him for wearing a MAGA hat. 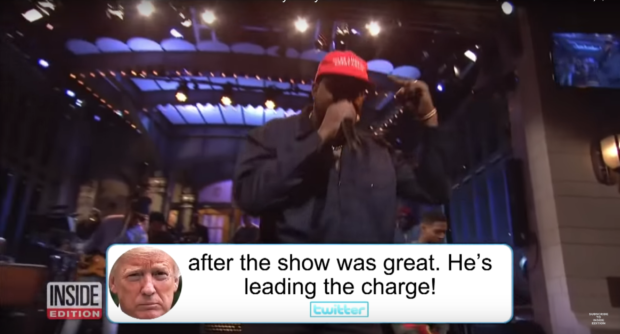 Last month, Kanye said he was “bullied” by members of the “Saturday Night Live” cast for wearing a MAGA hat. Kanye pointed at a pleased Trump.